Prospecting lists are one of the most important selling tools in a sales professional’s toolbox. Often, those salespeople just starting out have the most difficulty building a prospecting list from scratch. It is not always easy to find prospective buyers when you have just entered into a sales career. Thankfully, there are strategies you can use to build prospecting lists that are sure to help you hit your sales goals. 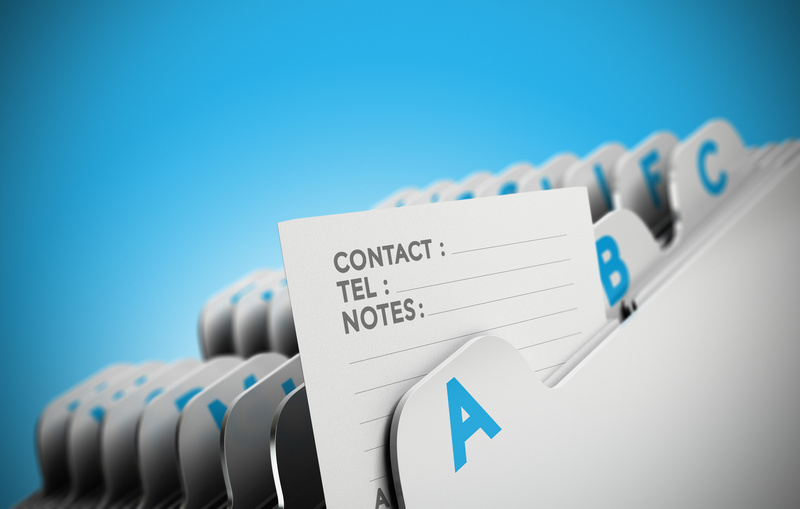 Find out the top tips to create a prospecting list for the first time below. Read business journals to find sales prospects to add to your list. Business journals feature information about the latest happenings in business. They tell you about what moves certain entities are making. That makes it easy to identify potential clients in need of services you sell. If a salesperson reads in a business journal that a certain company is looking to integrate new technologies into business operations, that leads you the perfect opportunity to add them to your prospecting list. Then, you can reach out to them to start building a relationship. Reading business journals is one of the easiest ways to build prospecting lists quickly to hit your sales goals every time. Sales professionals can also look to existing customers to add to their new prospecting lists. Existing customers, when satisfied, are much more likely to make a second purchase with the business. Consider what types of additional products and services previous customers may appreciate. You can use customer management software to do your research. Then, add them to your list. Looking over existing customers is one of the best ways to create a prospecting list that improves the chances of you hitting your goals for the year. Savvy salespeople should also use professional networking platforms to find prospects to add to their list. Social media platforms for professionals, like LinkedIn, are one of the best places to find prospective buyers when you are just starting your career in sales. Salespeople need to know how to get customers online. Browse the platform for professionals looking for the products and services your are selling. Often, companies will post about moves they are making, services they require or technology they need. Once you find these LinkedIn posts, add them to your prospecting list. Then, starting reaching out to build relationships on the professional networking platform. Then, you can hit all your sales goals with your ever-growing prospecting lists. Create a landing page online to find people to add to your prospecting list. A landing page is a simple, single-page site that you can add on to an existing webpage. Many of the best sales professionals use these strategies. On the landing page, feature a quick contact form that asks for basic personal information, such as name, phone number and email address. That gives you the direct contact information of prospective buyers that are already interested in the business and what you have to sell. They were already on your sales company website for a reason. If you have the necessary web development skills, create a landing page online to find prospects to add to your list. If you really get desperate, you can pay to buy or rent a sales prospecting list. In fact, some sales people may just want to use it as a quick jumping off point, even if they are not desperate. Renting prospecting lists allows you to contact each list sales prospect once for a small fee. Prospecting lists for sale, on the other hand, become your property. That means you can contact those sales leads as many times as you want. This is a great place to start if you do not have luck finding sales prospects on your own. Consider finding prospecting lists for rent or purchase to create a solid foundation to make a lot of sales as a beginner. There are many ways to build a prospecting list. But in order to actually build your prospecting list successfully at the start of your telesales career, you need to learn the proven sales prospecting strategies that you will use for the rest of your professional life. Use the sales prospecting list creation tips detailed above. By reading business journals, reviewing existing customers, leveraging professional social media platforms, creating an online page and buying or renting prospecting lists, you are sure to create prospecting lists that help you hit your sales goals year after year.